Finding fun things to entertain the kids with each weekend can be difficult and not to mention expensive! 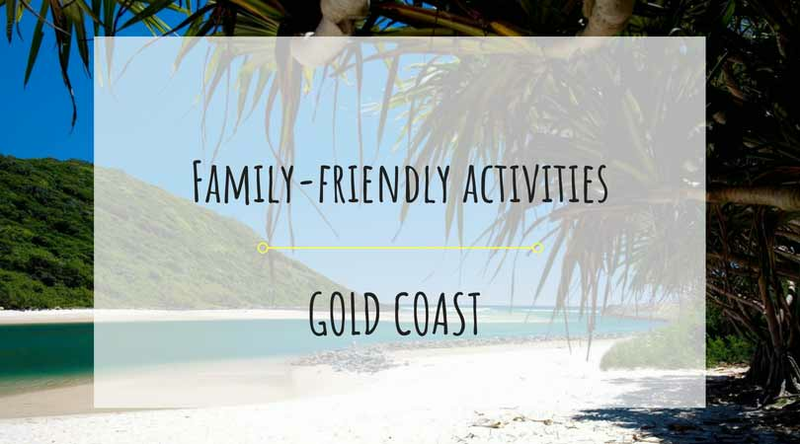 Luckily, the Gold Coast has plenty to offer the whole family – from its pristine beaches to mind-boggling attractions like Infinity, you can can be sure to find something that’ll please everyone without having to spend too much! The Gold Coast Botanical Gardens is a family-friendly, free attraction that offers a tranquil experience for all and the grounds are home to any number of great experiences with nature – The Butterfly Garden, Mangroves to Mountains Walk, Dry Rainforest or Montane Rockery all offer different, unique looks at the lush natural environment of the Gold Coast. Beyond that though, the Gold Coast Regional Botanical Gardens also hold a kid’s playground, which can be booked for your child’s birthday party, as well as a number of different picnic spots for you and your family to sit and enjoy. There are virtually endless possibilities for family fun at the Gold Coast Regional Botanical Gardens. If you’re still craving a brush with nature as part of your family fun, then the Gold Coast’s Currumbin Wildlife Sanctuary may be another choice for a family adventure. This 27 hectare stretch of Currumbin rainforest gives parents and children an opportunity to meet and interact with many different species of native and foreign animals. You can get up close and personal with kangaroos, koalas, red pandas, echidnas or capybaras! Other attractions like the Free Flight Bird Show and Segway Safari, as well the opportunity to get photos with some cute animals will only increase the number of great experiences you’re sure to have. The Gold Coast is home to an abundance of beachfront goodness with every inch being perfect family getaway havens. Explore the plethora of sandy slices of nirvana right at your fingertips – from popular spots like Burleigh Beach and Tallebudgera or hidden gems like the Currumbin Inlet and Couran Cove. For families with younger kids, places like the Tallebudgera Creek Inlet are perfect for splashing around in the shallow shores, while the main beaches have heavy lifeguard presence to ensure maximum safety amongst all the fun. Whether you’re a longtime resident or a temporary visitor, heading down to a Gold Coast beach is a necessity. The Gold Coast offers many other experiences beyond the great outdoors with Infinity being a prime attraction for the whole family. Part maze, part specials effects show – but all interactive entertainment. This futuristic funhouse will dazzle you with light shows and illusions, captivate you with peculiar music and bend your mind with its space warping wizardry. Located within the popular Surfer’s Paradise, Infinity is suitable for families with children aged 8 or older. No matter where you’re staying on the Gold Coast or for how long, your family can’t miss out on the opportunity to push their senses to the limit and beyond. 5. Ripley’s Believe It Or Not! Positioned right in the heart of Surfers Paradise at Soul Boardwalk, Cavill Mall, Ripley’s Believe It Or Not! Auditorium provides two attractions for the price of one. The first is a journey into a bizarre series of 15 unique rooms showing off some of the most unbelievable artefacts, relics and interactive exhibits across time periods and cultures. The second is Ripley’s Impossible Laser Race, which will test your coordination, timing and agility as you attempt to make your way across a room infiltrated with lasers – just try to not to trip any of the beams! Even better, while you’re here, you can pre-purchase 15% discount vouchers to use at Infinity! This attraction offers a wide range of experiences that cater for the whole family and must be seen to be believed.